If you are familiar with the popular meal-delivery service, Plated, you will be excited to know that two members of their talented culinary staff have published a cookbook! 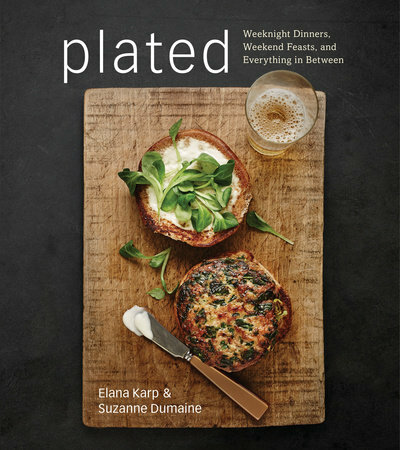 The book is well-organized and it really comes to life with the gorgeous photos of several of the featured dishes throughout the book. Overall, the book showcases a great collection of classic recipes that every good cook needs on hand such as bolognese sauce, fried chicken, risotto, polenta and much, much more. I also really appreciate the ample selection of classic, foreign fare they include such as gravlax, ramen, gyros and a few more. The book is also peppered with a handful of good recipes for, what I refer to as, modern classics such as white lasagna and fish tacos. There are several sections in the book meant to guide it's readers, no matter the skill-level, towards experimenting with variations of the basic recipes they've written. For instance, they offer several suggestions for re-purposing leftovers into new dishes. But, my favorite aspect of this book are smart, seasonal ingredients they suggest so that many of the recipes can be adapted throughout the year. I'm certain that this book will be appreciated by cooks of all levels from to beginner to the most advanced. The authors thoughtfully covered a wonderfully wide range of basic cooking skills, modern menu suggestions, and lots of lovely recipes for every time of the day. Chances are that anyone who thumbs through this cookbook will find a recipe they will look forward to making for the first time, I know I found a few! I prepared the book's recipe for potato gnocchi, which was a first for me. The instructions were spot on, easy to follow and my first attempt at a classic potato gnocchi was a delicious success. Sounds like a great cookbook. Your gnocchi turned out great! Thanks Angie, we really enjoyed the gnocchi and I thought it was fun to make :) it's a good general cookbook! Hi Grace, yes I was really excited to try making gnocchi for the first time, now I hooked. :). Hi Marcelle, your gnocchi look delicious!!! great review will have to check out this book. Sounds like a terrific cookbook! I'll definitely check it out. 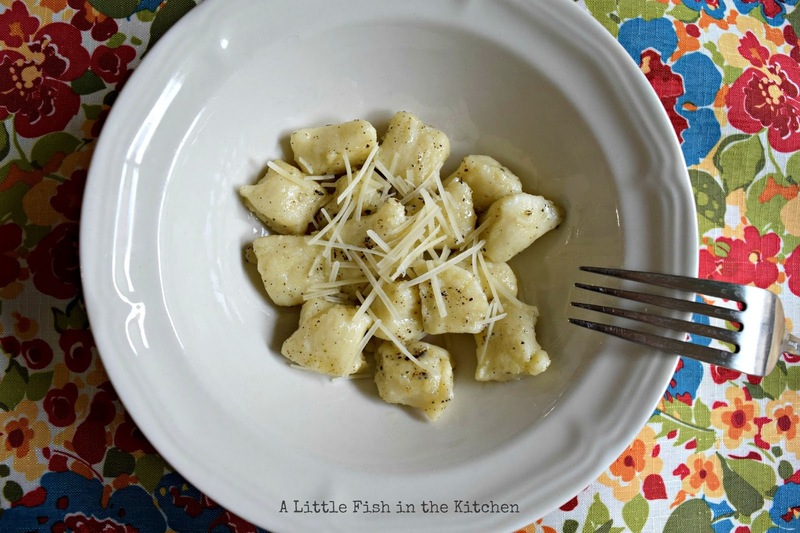 Love your gnocchi pictures! And you've reminded me it's been way too long since I've made this. Anyway, sounds like a good book -- thanks for the heads up about it! Marcelle, this sounds like a great book and I like that you pointed out that it is likely to be enjoyed by beginners as well as advanced home cooks. And your beautiful handmade Gnocchi remind me that I have to make the great Italian pasta again soon - the kids are absolutely crazy about them! 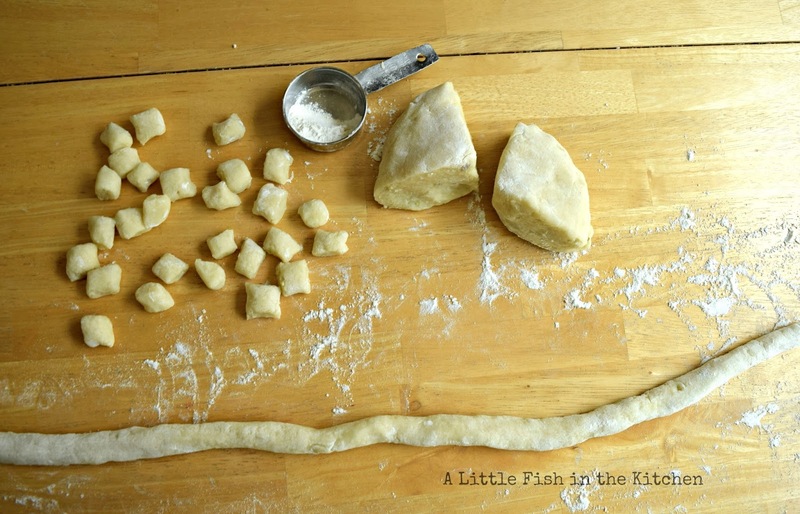 I haven't made gnocchi in way too long…thanks for the inspiration. Great review Marcelle, sounds like a lovely book, your gnocchi look perfect!